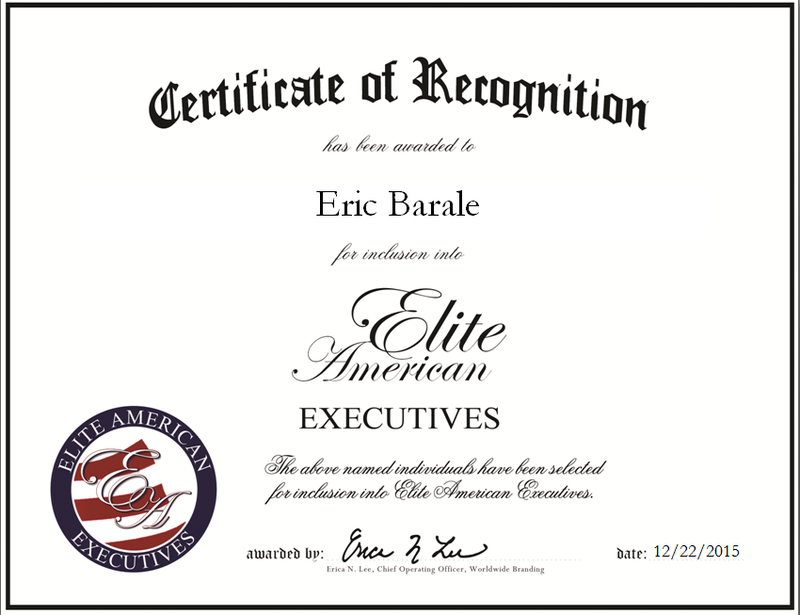 Miami, FL, December 22, 2015, Eric Barale, Senior Culinary Director and Executive Chef of The Apollo Group, has been recognized by Elite American Executives for dedication, achievement and leadership in fine dining and hospitality services. Mr. Barale has been in his profession since he was 16 years old, when he began studying at the Hotel School of Toulouse France and obtained his first culinary diploma. He proceeded to relocate to Paris, France, where he worked in the Hotel Concorde La Fayette, a famous luxury hotel. Over the next 10 years, he continued to perfect his trade skills, working in a variety of settings throughout France, Monaco, Switzerland and Italy. In 1990, he began teaching, and in 1999, he left France to join Silversea Cruises as an executive sous chef, which introduced him to the world of cruise cuisine. Within a year, he was promoted to executive chef. Mr. Barale joined the Oceania Cruises team as the executive chef for the opening of the M/S Regatta in May 2003, and a year later he launched the M/S Insignia and the M/S Nautica. By 2005, he was promoted to corporate executive chef, and in 2009 he was promoted to culinary director in charge of both Oceania Cruises and their sister company, Regent Seven Seas. Mr. Barale holds a diploma from the Hotel School of Toulouse France, as well as a State Master Chef Diploma from the Chambre of Metiers. He was certified as a Master Chef of France by the USA Division of Maitres Cuisiniers de France in 2010, and also trained in Cuisine Sous Vide with Mr. Bruno Goussault at the Culinary Research & Education Academy. Additionally, Mr. Barale extended the scope of his skills by gaining certification in the formation of pastry through the Lenotre School of Paris in 1995. 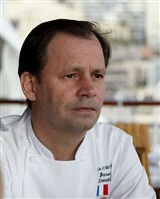 He is also recognized as a Brevet Professional Cook by the Loire Atlantique Chambre of Metiers. This entry was posted in Hospitality and tagged cruise cuisine, culinary arts, culinary director, culinary operations, executive chef, fine dining, menu development, training. Bookmark the permalink.